This week’s numbers in the real world: radio frequencies. But what I really want to know is: Did video kill the radio star? Or was it satellite radio? 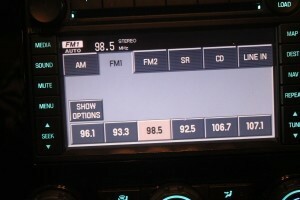 Or Internet radio? Or the iPod? Actually, apparently none of these. 90% of Americans listen to radio each week. The average American listens to 14 hours of radio per week. This week, stay tuned. And regardless of what you’re listening to, make this week count.